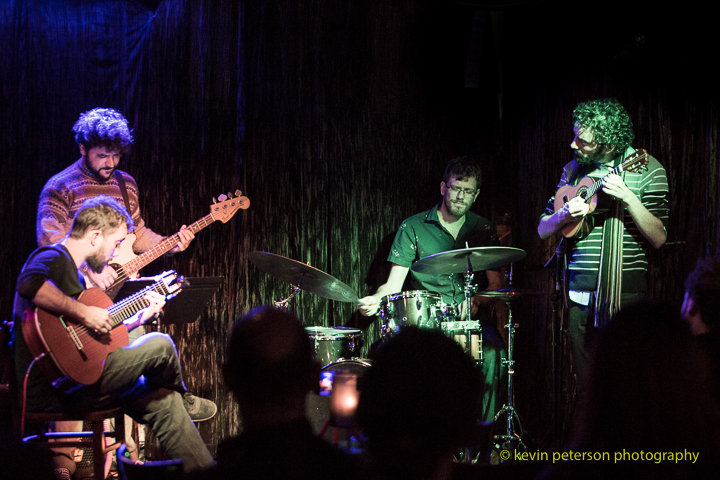 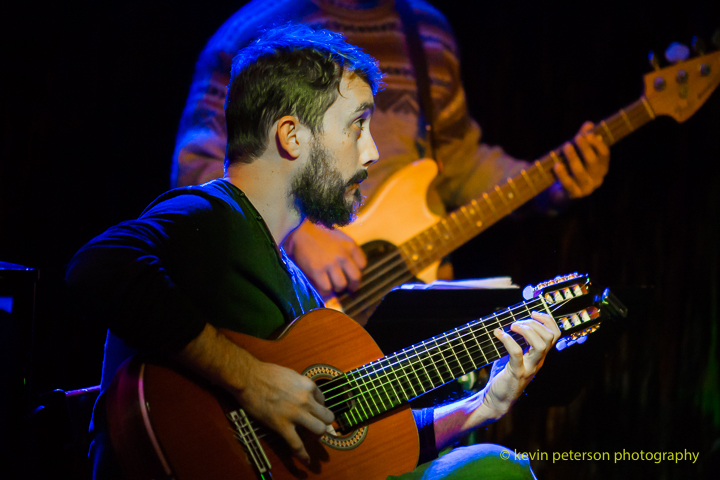 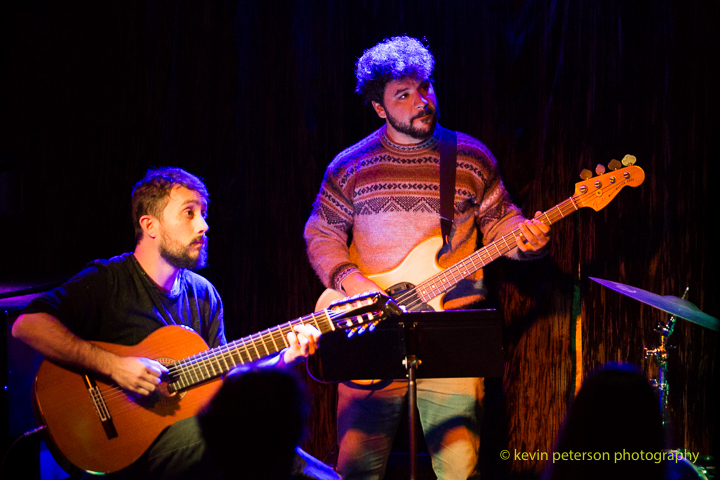 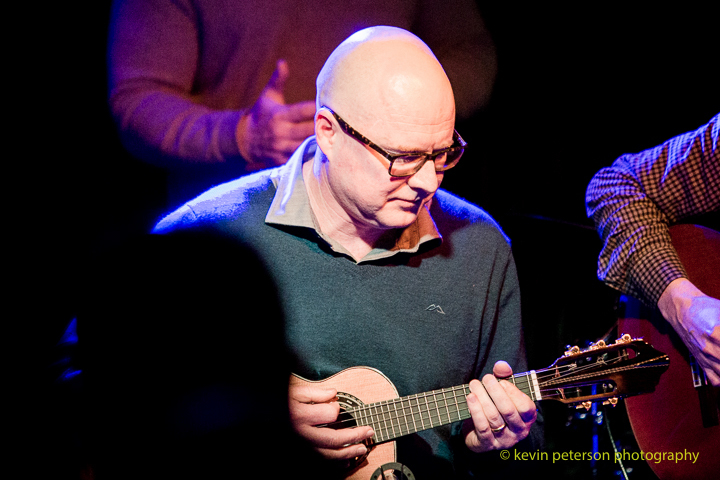 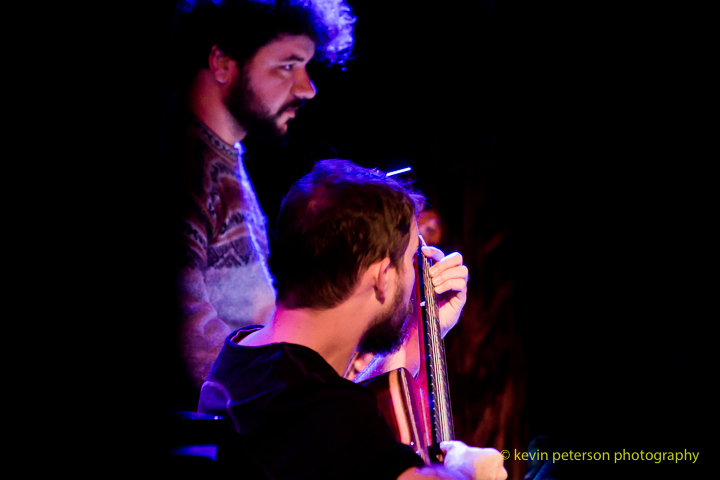 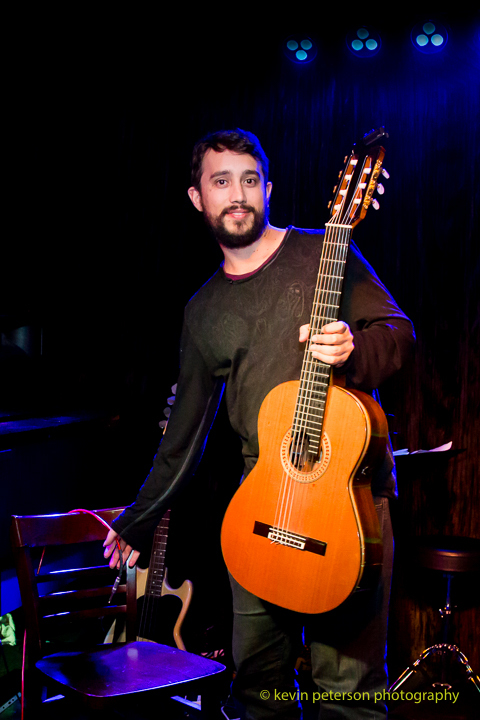 Andre Milagres – seven strings guitar, Lucas Ladeia – Brazilian cavaquinho – small four string guitar,Rodrigo Magalhaes – bass, Rodrigo Heringer – drums & percussion, with guest artists Special local guests for the show: Trio Agogo – Adam May, Paul Careyand and Al Kerr. 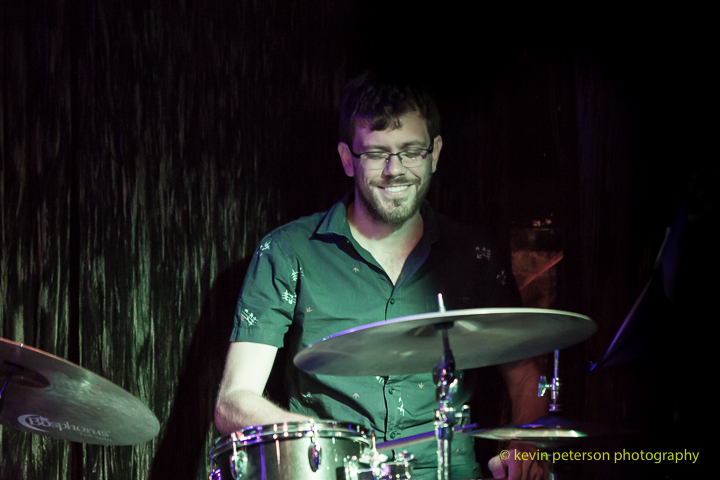 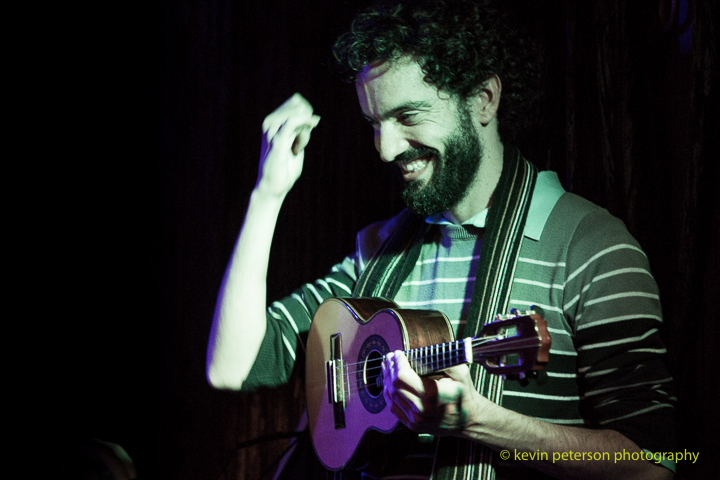 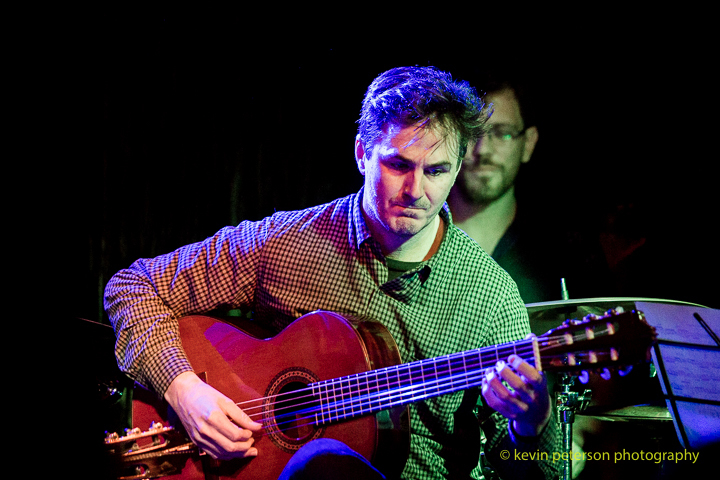 Was a very exciting double-set Brazilian music night with Assanhado Quarteto (Brazil) and Tamandua (Melbourne). 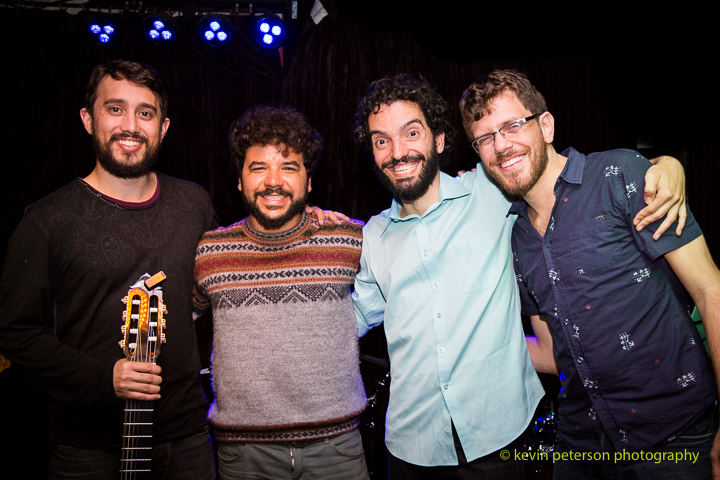 A year later these artists from Assanhado Quarteto are back in Australia to play their last and best songs/compositions when talking about Brazilian jazz & choro.